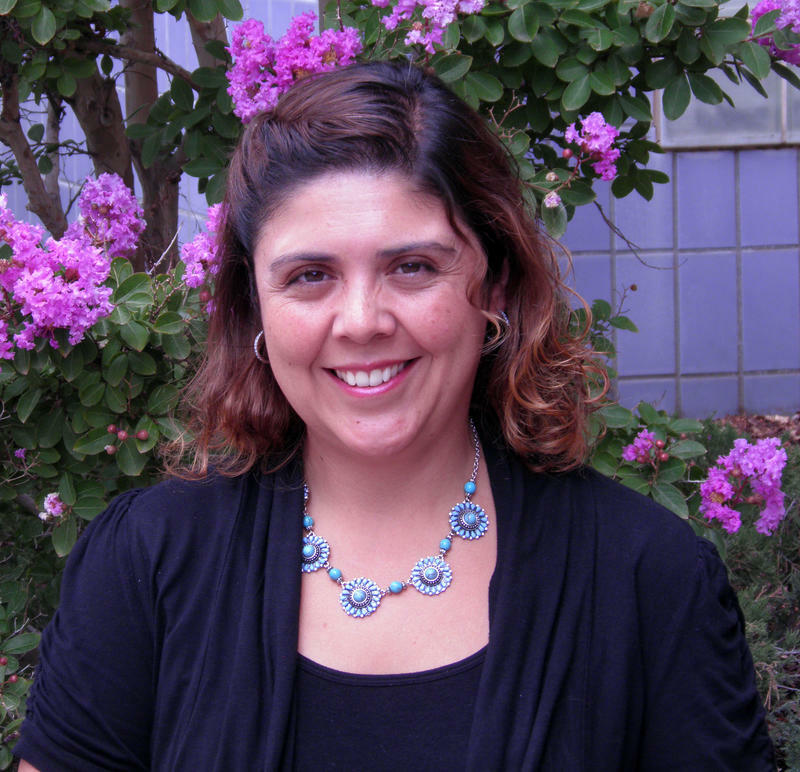 Public Health New Mexico’s May Ortega sat down with the school’s Associate Professor of Family Medicine, Doctor Felisha Rojan-Minjares, to learn how their training works. ROJAN-MINJARES: Every medical student gets this training. And so it’s a required piece of the curriculum and has been such since the beginning of the curriculum. KUNM: What does this look like in your trainings? What do you do? ROJAN-MINJARES: It used to be a course on its own and in that course, we had a combination of lecture, small group discussion as well as a standardized patient activity. We built what we thought was a really sound curricular base to allow for key concepts to be taught including topics around trust and engagement, historical trauma, race and racism, language access and implicit bias. We had this course that happened in the first, second and third year in all those different settings, so again lectures, small group discussion, and standardized patient activities. But while teaching that over the years we saw these concepts were actually the same concepts that you need to learn for good communication with any patient. So for the last three years, we’ve embedded this curriculum into a larger course called “doctoring” which spans all four years of medical school and covers all the elements of being a doctor that aren’t the basic sciences. KUNM: How do you know if clinicians get it? That they’re going to provide care to this standard? ROJAN-MINJARES: So that’s a really hard question. This has been a challenge nationally to figure out how to assess. It’s easy to assess medical knowledge with multiple-choice questions. It’s actually pretty easy to assess clinical skills when looking at how we use standardized patients, so a student is sent in and asked to interview and do a physical exam on a patient and then come up with a plan of care. But so much of what is related to cultural competency teaching has to do with attitudes, and those things are much harder to assess. So one thing that I can say is there’s a graduate student questionnaire that’s completed by students across the country when they’re completing their fourth year of medical school. On that questionnaire, there’s a question about whether or not students feel prepared to take care of diverse populations and our students rate very highly on that - much higher than the national average - that they do feel prepared to take care of diverse populations. KUNM: What do you know about how consistent this kind of training is across New Mexico and the rest of the country? ROJAN-MINJARES: It’s not very consistent. All schools kind of do this in a variety of ways. I’ve been fortunate enough to be part of different medical education meetings where I get to meet with different educators at different medical schools. Each school seems to take its own approach. There’s some basic concepts that are covered. Implicit bias and unconscious bias is a really common theme right now that medical schools are focusing on. To look at a couple of other schools for example, [the University of California San Francisco] has a brand-new initiative called "Differences Matter" and UCSF is actually funneling a lot of resources into doing orientation sessions at the very beginning of medical school; so full-day sessions focusing on race, racism and implicit bias for medical students. KUNM: The curriculum is going to be updated. What’s wrong with it now and how often does it have to be updated? ROJAN-MINJARES: Being director and someone who’s involved in medical school with the curriculum, I’m constantly updating all the curricula that I work on. The recent updates to curricula have actually been with a new emphasis on race and racism. The honest truth is that a few years ago when teaching directly about race and racism, we were getting so much defensiveness that we decided to pull back a little bit and start renaming things - like saying things like ‘trust and engagement’ and how to demonstrate respect in a clinical encounter. But as the situation in our country has evolved and the focus on race seems much more clear as a need to be discussed directly, we’ve over the last two or three years started revamping those sections of curriculum to focus directly on race. KUNM’s Public Health New Mexico project is funded by the W.K. Kellogg Foundation and the McCune Charitable Foundation. Students at the University of New Mexico may soon be required to take at least one class on diversity. The Albuquerque Journal reports (http://bit.ly/TEM9tO) that a draft proposal by the Provost's Diversity Council calls for a three-credit-hour diversity requirement that could go into effect in fall 2014. The class will be required for all students before graduation.